After the release of our new life-sized, one-piece Honker, the demand from customers to keep our larger, Original Honker was overwhelming. Because of this we decided we would do one better. We took the best features from the brand new Honker decoy and applied it to it’s Oversize brother to create an oversized, one-piece, honker decoy with thin wings tips and new cast legs that we are calling the Giant. We are so excited to finally bring this decoy back into the lineup with the features that we always wanted to create. Whether you like the ultra-realism of using a true to life size decoy, or if you believe in a larger decoy for more presence and standing out in large fields, you now have two insanely effective options to choose from. 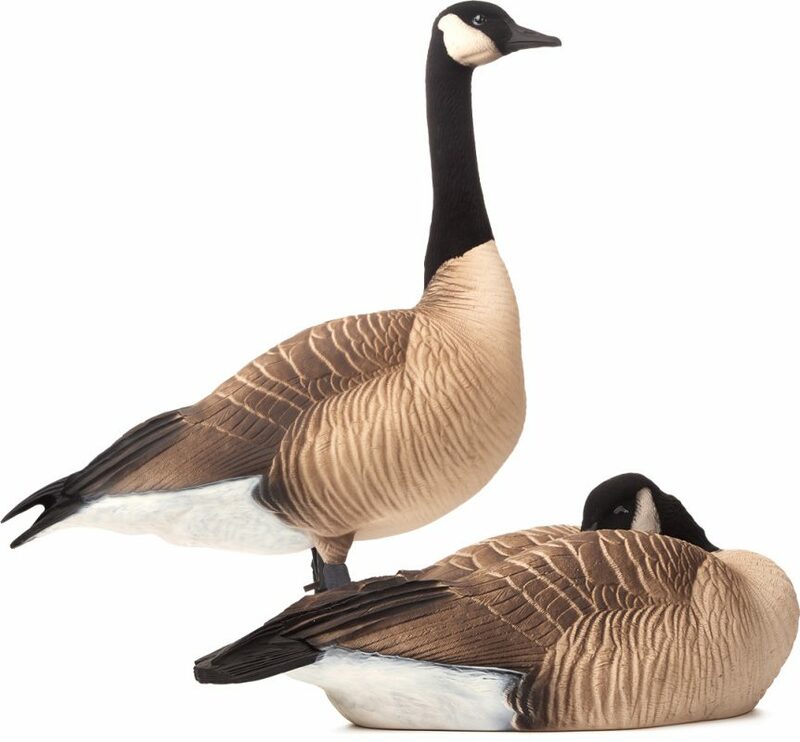 Our updated, oversize, large Canada Goose line of decoys has finally reached its full potential. The Giants combine everything we loved about our Original Two-Piece Honkers with the added realism and durability of our new Honker line of Decoys to create our most effective oversize decoy to date. If you’re looking to stand out in a large field or shoreline, these are the decoys for you. New one-piece design increases durability. Realistic, folding cast legs for a super realistic appearance. Tail & wing separation maximizes realism. Rubber strap secures to the stand for fast spread changes. 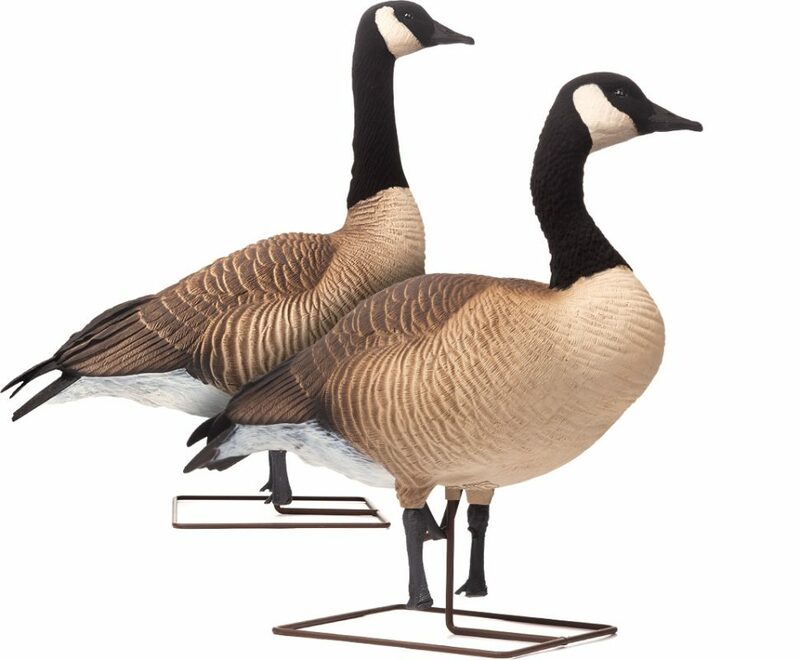 This life-size and highly detailed decoy line is one of our most deadly and popular options. Rain or shine, the added detail and texture on these Honkers eliminates shine to ensure an ultra flat appearance and an increased effectiveness on weary geese! Updated leg strap design increases durability. Realistic, folding cast legs for increased realism. Tail & wing seperation that looks like real feathers.